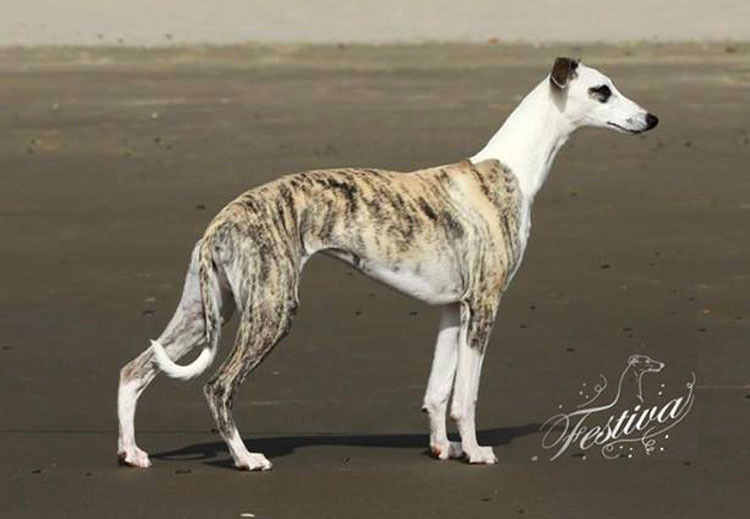 March 2017: We are very excited to announce that little miss Arden is now back at Forgetmenot as her permanent retirement home :-) See Arden in the Canadian show rings this summer to obtain her Canadian title! 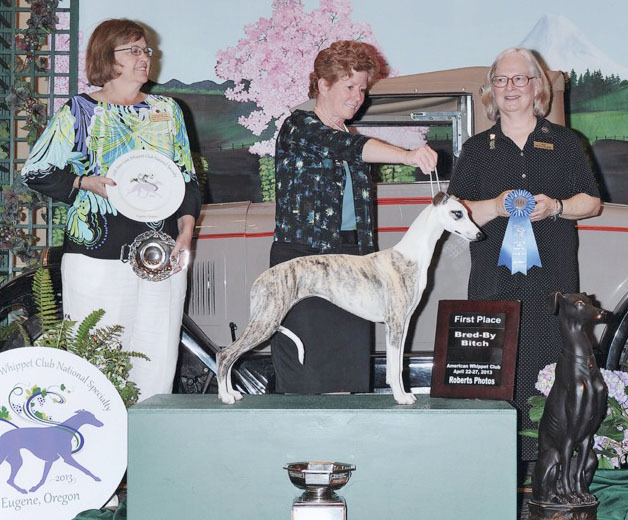 Below: Arden winning Best Bred By at the American Whippet Club National specialty in Oregon, 2013 under breeder-judge Mary Beth Arthur. 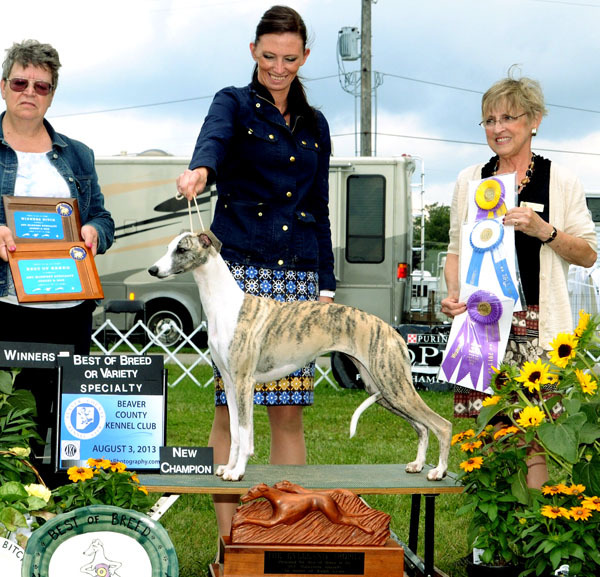 Below: Arden finishes her USA championship with a BANG by winning BOB at the American Whippet Club Midwest specialty under breeder-judge Kathleen Davenport (Kamada). 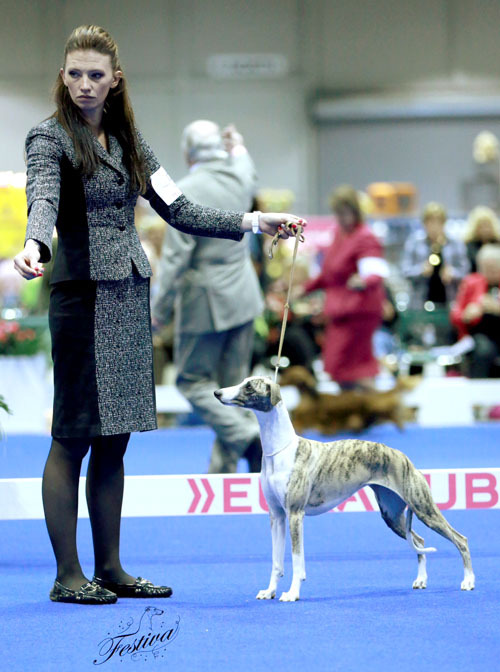 Below: Arden at the 2014 Eukanuba Invitational show.